Raises Awareness About World Hunger With Tattoos	Marketing Done Right! Building links for SEO can be one of the best things you do for your SEO efforts–or it can be the worst. It all depends on how you go about it. I wrote about this here in Forbes in 2013 with my post SEO Rankings Tanking? Check For Bad Incoming Links. Now, Google’s webmaster trends analyst John Mueller has come out and with an explicit statement stating that link building can do harm to your SEO goals. So that you are really sure that your content kind of stands on its own and make it possible for other people of course to link to your content. Make it easy, maybe, put a little widget on your page, if you like this, this is how you can link to it. Make sure that the URLs on your web site are easy to copy and paste. All of those things make it a little bit easier. We do use links as part of our algorithm but we use lots and lots of other factors as well. So only focusing on links is probably going to cause more problems for your web site that actually helps. The full video can be seen below, with Mueller’s comments above starting at 55:40. What Makes Link Building Bad? Link building is not bad. Building bad links is bad. Mueller’s recommendation to avoid link building generally is appropriate because companies generally build bad links. To understand how Google looks at links and why some links are bad, we need to understand more about Google’s objectives. Google exists to give searchers what they want. When searchers find what they want on Google, they’re happy. This keeps them coming back. And they invite their friends. This means more and more people click on those paid advertisements on search results pages, and that’s where $45B of Google’s 2014 revenues came from. Google is far from perfect when it comes to giving searchers what they want, which is why they have thousands of PhDs working to make the search engine better. If Google were to slip enough when it comes to search results quality, the majority of its revenue would dry up, and it would put at risk all those fun projects that might change the world like self-driving cars and balloons broadcasting Wi-Fi around the world. 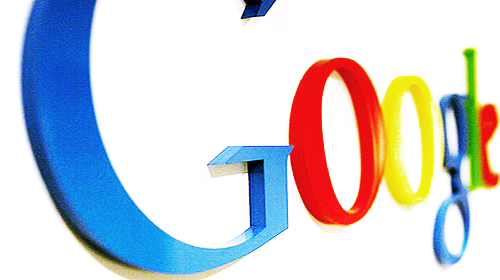 Google uses links to determine how to deliver high quality search results. Historically the problem has been that Google wasn’t paying a lot of attention to the quality of links, but instead focused more on quantity. Many people gamed the system by building links any way they could, including by building large numbers of fake, low quality websites. This led to offers from companies promising “We’ll build thousands of links for you every month for $5!! !” Building links this way is what Google refers to as a “link scheme,” and when it comes to link building it might be wise of you to have a plan, but you don’t want Google to accuse you of scheming. In 2011 Google started rolling out major updates that focused on quality across a number of areas. In 2012 it rolled out the first Penguin update which directly targeted low quality, spammy, inbound links. Some website owners who had been abusing the system saw their traffic dry up overnight. Unfortunately, many innocent website owners hired SEO firms that weren’t doing things the right way and got penalized as well. What Makes a High Quality Link? One factor to consider when going after high quality links is relevance. If you’re a dentist in Phoenix, Arizona, but your SEO firm is building links to your website from a bearing manufacturer in India, that’s a bad link because it’s coming from a source that is completely irrelevant. The only thing it tells Google is that you’re trying to spam them, which indirectly tells them they should ban your website from Google until you shape up. The more relevant place to get a link would be from an association of Arizona dentists. High quality links also tend to come from high quality websites. A link from Forbes.com will probably carry more weight than a link from your mom’s blog, unless your mom is Ree Drummond. Perhaps the greatest challenge when it comes to building high quality links is to make them natural. What’s the Right Way to Build High Quality Links? The right way to build high quality links is to not build them at all, but instead, earn them naturally. Natural links are earned by creating great content that people want to link to. What is great content? First, let’s understand what good content is. Good content is content that is so good you would read it. Go take a look at your website right now. Read the content on it. Is it interesting? Does it provide real value? Can you imagine a real human being reading it and being interested and engaged? Or did you create all that text just to fill space? If you personally find it interesting and enjoy reading it, then it might be good content. Most website content is about as interesting as airline emergency instructions. Great content is content that is so good you would pay to consume it. Think about the magazines, books, and movies you pay for. If you want to earn links, focus instead on creating that kind of content, or hire someone who can create it for you. Great content, produced consistently, will earn links, traffic, social sharing, and produce long term benefits for your SEO efforts. The problem is that producing great content takes time, effort, and sometimes quite a bit of money. Many companies, faced with this reality, try to take shortcuts. They focus too much on the links, and not enough on providing value worthy of being linked to. As Mueller said, “I’d try to avoid that.” It will likely lead to more harm than good.